Very early on, music executive, Kelly Jackson, also known as Kelly Kinkaid, understood her purpose. When taking the leap of faith into the entertainment industry, she made the decision to never compromise who she was or take shortcuts to get to where she wanted to be. The Michigan native symbolizes what the power of experience, knowledge, and networking, can do to create your own lane and how always staying true to yourself is the best form of power. Through faith and fearlessness, Kelly developed an extensive resume working for companies like Columbia Records, Epic Records, TreMedia, V.Brown & Co., and StepSon Music/Tommy Boy. She’s also amassed a client list that includes the legendary Paul Mooney, Deborah Cox, Lil Scrappy, Jim Jones, OJ Da Juiceman, Saigon, Locksmith, DJ Jazzy Joyce and MTV news senior correspondent & SiriusXM personality, Sway Calloway. 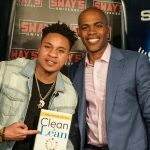 Jackson is currently the supervising producer for Sway In The Morning Show and Managing Partner at Overdeliver Ent. Allhiphop.com had the pleasure of speaking with Kelly about her journey through the industry with the highs and lows of owning her power, womanhood, and expertise within the intense male-dominated world of entertainment and Hip-Hop. AllHipHop: Could you describe your journey a bit? How did you get to where you are now? Kelly Jackson: Well, I’m a native of Flint, Michigan. I went to Jackson State University, which was a great experience, so I always knew more was to come in life. I had an opportunity to move to New York, although it was never in my plans– it was in God’s plan. Since I’ve always been a go-getter and entrepreneur at my core, I got a full-time job and juggled multiple record labels internships when I first moved to New York, just for the experience. One thing I had to realize on my journey was to understand that it’s not a sprint, but it’s a marathon and when I finally realized that and understood everything happens for a reason…I was good. Today, I know I am still a student and still learning, but everything I’ve experienced on this journey has made me who I am. AllHipHop: What was your childhood like and how do you feel that prepared you for this career? Kelly Jackson: Being from the midwest, I believe we have the best ears because we are able to embrace music from all coasts without being bias, plus we bring the soul. But just particularly where I’m from, I was able to have a balanced life. I came with a different lens. 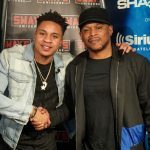 AllHipHop: Throughout your career, can you describe a moment adversity? Kelly Jackson: Everyone deals with adversity in this industry, but for me, it happened when the change of the label structures occurred. The jobs weren’t as plentiful and that made the record industry not as fun anymore for me because it became more competitive. So, I left New York with the intention of going to law school and started working in radio in Flint, MI as an on-air personality. I did begin to miss New York. I loved it there and loved the music industry on the executive side. Although going back, it was a lot more competitive, leaving New York helped me appreciate the industry and the privileges I had within it. Many strive to just get their foot into the door, and it was important for me to get back and live out my dreams and aspirations I had in the entertainment industry. AllHipHop: Through that moment of adversity, or just in general, what kept you from giving up? Kelly Jackson: I’m not a quitter, and the great thing about the industry is, that there is always something, you can find to do. I am a marketer and can market an orange if I need to. People have to understand, if you want to be in the mix, there is a process to this. Many want the easy route, but I’ve always looked at the bigger picture. Some people will only look at the immediate circumstances instead of looking at the long term benefits. Kelly Jackson: In 2011 my father was dying and I was literally home weekly. During that time, I had to truly realize that this is just a job and if the people I work with don’t get it, then I don’t need to be working there. I just made sure my work was done because nobody wants to hear your excuses. AllHipHop: No matter what the excuse is right? Kelly Jackson: Exactly. So if I have to stay up 4 hours later than the next person…then I have to do it. AllHipHop: What about any relationships? That is a major factor that sometimes women in this industry definitely have to think about. 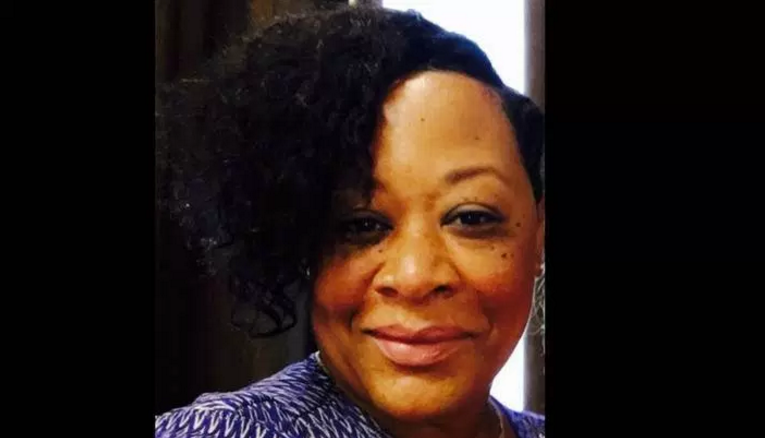 Kelly Jackson: As far as my personal life, you won’t see on my social media 50 million pics hugged up with someone, but if you respect your private or personal life, you make other people respect that side too. As women, we definitely are held at a different regard, especially when it comes to image, and significant others. AllHipHop: Do you see much woman empowerment and support within the industry? AllHipHop: Balancing work, family and health can be crazy especially as women, what tips would you share with other women? 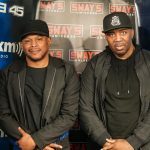 Kelly Jackson: On Sway in The Morning, I host a segment called “First Aid with Kelly Kinkaid,” and I discuss all different health topics: weight loss, depression, and others, and every week it touches me when I get a tweet or Instagram message thanking me for the information and motivation to stay healthy. We have to make sure we take care of ourselves. We are always the nurturer, but we have to take the time to nurture ourselves too. AllHipHop: Who would be your top 3 powerful women, and what about each inspires you? Kelly Jackson: Sylvia Rhone. I read about her in an article and I wrote her when I first moved to New York and she wrote me back! I was so excited. Then there is Devi Dev, Miss Diddy, Tracy G., Nicky G., Karen Civil. I love the spirit of all the new millennials representing now. Also, my mother, Dr. Ernestine Jackson of course. AllHipHop: Is there something you would like to share as we embrace our womanhood, not only during the month of March but all year round? Kelly Jackson: Understand that it’s our time and we must continue to be role models. We must combat the current images of women not getting along, fighting or being fixated on material things with strong and positive images that the younger generation of females can strive to become. We must be examples to the younger generation. I also would love to kill all the pettiness and insecurities we have. It’s ok to love and complement one another. We all can be VPs and Presidents. We just must live by example. Keep up with @KellyKinkaid online! #BlackLivesMatter: 10 African-American Inventions that changed the world!